If you’re building a new home and planning to put your current house on the market, there are many things you can do to set your home apart from the rest grabbing the attention of potential buyers. In a housing market saturated with foreclosures, The House Plan Shop is here to help you. These home selling tips will make your house stand out among the rest and most won’t cost much more than your time and a little bit of elbow grease. 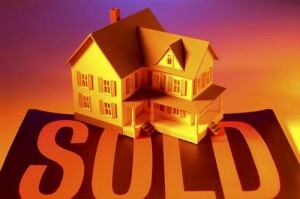 Real estate professionals suggest the following tips to help sell your home. Knowing your home’s worth – Many homeowners looking to sell take a giant leap into the market by setting prices that keep potential buyers at bay. Possibly out of ignorance of how the market works, they do this by relying on what their neighbors made from selling their homes or what they said. Sometimes, it is misleading advice from determined real estate agents trying to land the listing. These are not exactly reliable sources that you can conclusively price your home based on. It’s best to hire an appraisal company, I instructed this property valuation company and found their services excellent. Start sooner rather than later – Contact a realtor before you want to list your home. This professional can give you advice about preparing your home for the housing market and motivate you for the sale. This also allows time to evaluate and assess the home’s value as compared to others on the market in your area. Give the realtor plenty of time to make sure your home is competitively priced. Clean thoroughly – Buyers are looking for a clean and comfortable home so clean everything from floor to ceiling. This includes appliances, the basement and garage, and inside cabinets and closets. Freshen things up by painting the walls with a neutral color and eliminate odors, especially pet odors. Pay attention to every detail. A dirty home gives the impression of neglect. You want potential buyers to get a feeling you’re home has always been kept in good shape. Enhance curb appeal – We often think about selling our home, but in reality, we are selling our yard too. Take a look at your home and yard from across the street. Does it look welcoming, clean and well-kept? Many buyers drive past potential homes before viewing the home with a real estate agent. It is your job to give buyers a reason to want to come inside. Trim bushes and shrubs, plant flowers, get rid of any of last year’s dead plants, mow the yard, clean the windows, and touch up or clean the trim. Make your home look inviting from the street. Clean up the entrance – You only have one chance to make a lasting first impression. Your front porch, door and foyer and the first things potential buyers will see when they visit your home. Make sure these combined entry spaces are clean and inviting. Touch up paint, sweep leaves off the front porch and sidewalk, clear cobwebs, make sure all the hardware on the front door matches and keep the foyer tidy. Open up and sell your space – Many buyers are looking for more space in their new home so free up your space offering a more open and spacious feel in every room. Clear clutter by packing items you will not need until you move into your new home, if your new homw is already emptied out you can hire your Miami Movers and start moving early, this way when the final day comes you don’t have much to do . Box up small items and designate a space in your home, such as a corner of the basement, to stack boxed items. Get rid of anything you don’t plan to take with you to your new home whether it is a piece of furniture, a broken lawn mower or shoes you haven’t worn all year. Free up space. If you have two oversized couches in the family room, put one in storage. Make sure there is plenty of room for potential buyers to move about in each room. Get rid of little things too. Don’t leave mail strewn across the counter or piles of paper on your desk. Organizing the little things helps free up space too. If you are building a new home and getting ready to put your current house on the market, these handy tips will help you attract potential buyers and set your house apart from the rest. In many cases, the fireplace is positioned to be a focal point in the room. This is a great strategy if you plan to have a fire burning everyday with orange flames casting a friendly or cozy glow across the room. But face it. In the summertime, the dormant fireplace isn’t the most attractive thing to look at in the great room, bedroom, etc. So, dress up your fireplace with these suggestions. · Arrange potted plants in front of the fireplace. Use various plants to provide different textures, sizes, heights and shapes. Place them in decorative pots of different sizes and styles that complement your décor. · Create an artistic display by arranging pillar candles of various sizes inside the fireplace. · Place a unique piece of driftwood inside the fireplace. · Camouflage the dormant firebox by placing a pieced of framed artwork in front of the opening. You can prop the frame against the fireplace or put it on a stand in front of the fireplace. · Arrange baskets of natural items such as pinecones, smooth river stones or dried flowers on the hearth. · Place vases of fresh cut flowers on the mantle and group three or taller vases of flowers right in front of the fireplace. Now that you’ve built your dream home using a house plan from The House Plan Shop, it is time to think about storage options for your new garage. Before you begin, there is one rule to follow: Go vertical! From floor to ceiling, it is necessary to capitalize on vertical storage space keeping the parking area and walking spaces free and clear of clutter and unorganized chaos allowing easy and safe movement about the garage. First, think about the walls. 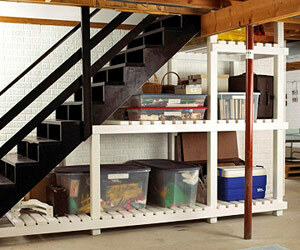 There is a wide range of storage items and accessories that can maximize your garage storage space in a safe manner. Common organizational items include pegboards and hooks or cabinets. Pegboards give you flexibility when hanging and storing items while cabinets hide your personal belongings away. Both of these options can be arranged to fit any size garage and can even be used together. 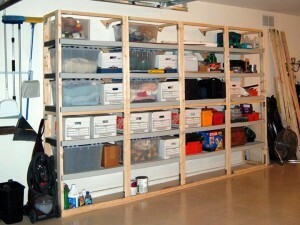 A slotted panel system is another choice for garage wall organization. It combines the use of hooks, shelves, baskets and cabinets. No matter which method you choose for your walls, make sure each piece or item is securely mounted to the wall and do not store anything that exceeds the recommended maximum weight capacity. Finally, it is time to think about the ceiling. Though we do not traditionally use the ceiling for storage in our homes, the garage is one place where you can make good use of the space above. Often, hooks can be installed in the ceiling for hanging and storing bikes, lawn chairs and even strollers in some cases. If there is room above the rafters, consider creating a storage loft for boxed items you cannot part with and other things you access only once or twice a year, like holiday decorations. Usually a ladder or pull down stair is the easiest and most inexpensive way to access the upper level space. Make sure the floor is sturdy enough to support the weight of the items you plan to store and be careful hauling heavy boxes and bulky items up and down the ladder. With careful thought and extra planning, you can create a highly functional and very efficient storage space in your garage. It’s no secret everyone has a little clutter in their homes if not A LOT of clutter. The House Plan Shop recommends these tips from organizational pros. You’ll have your home tidy and clutter free in no time. 1. Make a list of the rooms or spaces in your home that you want to de-clutter and prioritize them. 2. Start with a small organizational task first. Begin with a small project like organizing the junk drawer in your kitchen. Your success will motivate you to move on to the first big space or task on your list. Once it is complete move on to the next thing on your list. 3. Tackle one space at a time. Choose a room, area or closet to organize and stick with it until it is finished. Even if you only have 15-20 minutes a day to work on it, keep working until you have the space finished, then check it off the list and move on to the next area or room. 4. Take a holistic approach. Don’t just do the kitchen or your coat closet and stop. Include all the problem areas of your home from the garage and basement to the master bath and under the kids’ beds. 5. Don’t let sentiment stand in your way. If you have an item that you haven’t used or worn it and have no plans to use it again, donate it to charity if it is in good condition otherwise, put it in the trash. If something is broken, missing pieces or parts or no longer works, get rid of it. Keep an eye out for recyclables and do your part to help protect the environment. It is OK to keep a couple sentimental things, but not everything. That’s part of what got you to a cluttered state in the first place. 6. Give everything a place and keep it there. If you take tool from the workbench in the garage, put it back in its place when you finish, so you can find it next time. 7. Purchase organizational elements such as bins and plastic tubs to fit in the spaces you’ve designated for storage. An oversized storage tub won’t do you any good if it doesn’t fit in the closet where you plan to store it. Don’t forget to label bins and tubs. 8. Choose stackable storage bins and tubs with lids that way you can stack more than one in a closet or on the shelves in the basement. Lids keep dust out and everything clean inside. 9. Once you are clutter free, keep it that way. Remember to put things back where they belong, and when you are shopping, only buy things to replace. If you buy to “add” you’ll end up right where you started – amid unorganized clutter. With the downturn in the economy and the hard hits the home building industry has suffered, a new building trend has come into the spotlight. Along with building green and energy efficiency, the concept of “Less is More” is quickly growing in popularity. The housing market is turning away from high-end amenities and unnecessary spaces for smaller more practical homes that do not waste space or energy and are more budget conscious. Builders and home buyers are saying goodbye to two-story ceilings, outdoor kitchens, home theaters, and embellished master baths with built-in TVs and fancy showerheads. Instead, home buyers and their builders are focusing on ways to keep costs down and be more earth-friendly. They want to eliminate special features like tall ceilings that cause energy bills to skyrocket. This year’s home builders and buyers plan to cut costs with homes that offer plenty of natural light, usable rooms and gathering spaces, practical storage options, energy efficient appliances and lighting, energy-saving windows and quality insulation. In January, the National Association of Home Builders reported the average size of an American home decreased in size by nearly 100 square feet of living space since last year to approximately 2400 square feet of living area. Furthermore, the required number of bedrooms and baths in the American home has dropped over the last couple of years. So what else can we expect with the “Less is More” strategy? 1. Smaller homes with smaller footprints are becoming popular requiring narrow or smaller lots, which saves green space. In addition, families who need more space are building up instead of out doubling their finished living square footage on that same small footprint. House plans with a second floor are an easy way to gain living space. 2. Energy efficient products of all varieties are in high demand. These products may not have all the bells and whistles that were popular just a few years ago, but if they get the job done while saving energy and cutting utility costs today’s builders and home buyers are interested. Besides, do we really need all of those state-of-the-art features on a dishwasher? 3. Most families are interested in practical and functional spaces and features. They are skipping the high-tech media room and formal dining room. Instead, they are opting for a home office or a built-in computer station the whole family can use on a daily basis. Features that make daily activities flow more smoothly are a must. Many homebuyers will forego the wet bar in the family room, but a large kitchen island is a must along with a few large storage closets throughout the home. 4. 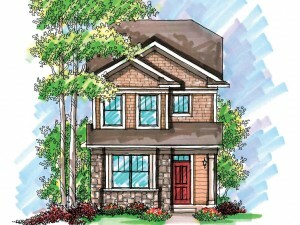 While a lavish master bath is still desirable, they are being scaled back a notch or two with most builders and buyers. Some homeowners are trading the separate shower and bathtub option for just a shower with a bit more room. Others are skipping the fanciful His and Her vessel sinks and downgrading to a standard double bowl vanity. In either case, the less sophisticated option still serves its purpose and cuts costs. There are many other ways builders and new home buyers a scaling back their homes. No matter how they do it or what features and amenities they skip over, the goal is the same for everyone involved – Cut costs, reduce energy consumption and make the most of the finished space. Talk with your builder for more ideas related to the “Less is More” trend.